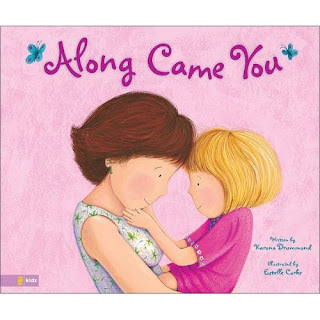 I read to my kids daily, so when the opportunity to review a new childrens book, Along Came You, by Karona Drummond, came up, I jumped. The story itself wasn't my favorite. Especially the first page. "Before you, my home was decorated in style. After you, it's decorated in love." It just rubbed me the wrong way. I understand what the author is trying to say, I just think the words weren't right. After that, the phrases get better. My favorite line being "Before you, I read books with a thousand pages. After you, I read the same book a thousand times." The shining glory of the book is the illustrations. Artist Estelle Corke has drawn scenes straight out of a mother's life. Playing dress up, going on an outing, reading the same book over and over and over again... she captures the tenderness that a mother has for her child, the little scenes that make life magical. All in all, it was a pretty good story, but the illustrations are why you should check it out.